Snowskating has gained lots of popularity in recent years. This is a sport that hits the balance between snowboarding and skateboarding, allowing individuals a chance to utilize both skills. However, a skater is only as good as his tools permit, so we’ll be presenting you our research of the best snowskates available that will let you show all your skills. SMOOTH RIDE - Closed cell dual-density foam shock absorption for a smooth ride all the way down. LIFETIME MONEY BACK GUARANTEE - If, for any reason, our product doesn't perform as advertised please contact us for a full refund. No questions asked. There aren’t many snowskates that can match the lifetime money back guarantee offered by the ​ Slopedeck Snowskate Pro Model. The innovative design of the base lets you take even the sharpest turns without tripping. The Slopedeck is hand made in Canada and allows you to snow skate in just any kind of snow. The snowskate is designed to absorb shock, making it ideal to practice various skills, all assured of a smooth landing. There are leash holes at both the tale and the tip to provide a smooth ride on a steep landscape regardless of the type of snow. It comes coated with a urethane sealant that helps to protect the wood from rotting, hence making it durable. The Crosslight core makes for a light and stuff ride. The Extruded UHMW base layer makes for a maintenance free performance. Ambition Snowskates feature precision-7 channels for speed, tracking and locking in on rails. The EVA Foam topsheet is soft and grippy and has a built in concave for enhanced board control. The ​ Ambition Snowskate Gerlach Pro is made from Canadian maple and is built for speed and balance. It comes with an EVA foam top sheet that helps in controlling the snowskate when turning. The resin lamination provides a waterproof feature, whereas the UHMW layer tacked on the base of the skate acts as a protective layer, adding more strength and durability. 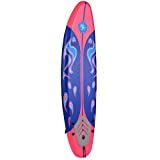 This particular snowskate is ideal for both beginners and more experienced skaters. 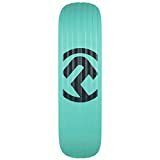 Fortrus Sonic Snow Skate Snowboard Deck, Yellow, 35"
The ​ Fortrus Sonic Snowskate is made of plastic, which makes it lighter than a regular wooden snowskate and provides flexibility and easy control. It is also the cheapest skate on this list. The sides are grooved to provide stability and balance when riding on steep slopes. It is not something out of the ordinary having a snowskate stuck in the snow, but this board’s asymmetrical shape helps to reduce friction for a smooth ride. With the Sonic it’s very easy to reach top speeds. Turning is not all that easy especially given the fact that the tail is elongated but with a few practices, you will get used to it. The ​ Hygen from Sled Dogs Snowskates was built for endurance, resilience, and speed. Other than the usual board design, this snowskate is designed more of like a shoe, making it feel natural. They are ideal for both beginners and experienced users, and you can use them on any type of snow. Unlike snowskate boards, with this model, you have to skate with your legs shoulder width apart leaning backward. If you lean forward you will decrease the center of gravity and chances are that you will trip and fall. The Sled Dogs happen to be the first ever patented snowskate due to their unique design. The material used at the base is steel, which is not only durable but also helps in ensuring a better grip to the ground. You don’t need any extra equipment like ski poles - as long as you are wearing a helmet and warm clothes you are good to go. 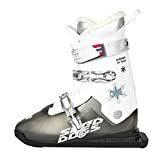 Like the previous ​product, the ​ Sled Dogs Snowskates Lunde is designed as a boot to provide you with balance. If you want to make your skating experience feel natural then this is the brand to go with. ​The Lunde boots are built for endurance and speed. They are expensive but will serve you long enough. The Landyatchtz Sunrise Complete Snowskate is a recent model, breaking in the market in 2017, but its influence and unique features have made it become a top pick for snowskating lovers. The top deck of the Landyatchtz Sunrise is made of a 7 ply maple to provide extra grip. The choice of colors is excellent making it unisex. Showing off it's maple core, the 2019 team snowskate is the perfect choice for any level of rider looking for quality and performance at a price point. 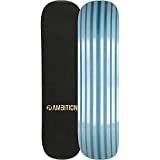 The ​ Ambition Team 2019 Blue Snowskate has added stiffness to increase friction ​that in the process provides a better grip. It is crafted by ply maple and it’s designed for speed and stability. The base of this board is coated with unique scratch resistance CPR material. 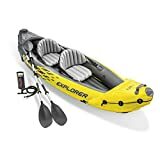 This is a good option wheter you're a beginner or already have some experience. ​Named after elite dog units, the ​ K9.02 is yet another product from Sled Dogs Snowskates. 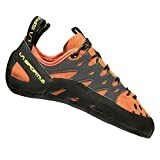 ​This one comes with upgraded inner boot​s and soles ​that will soften the landings from high air jumps. All Ages, Rider weight up to 220 lbs. Kit contains 4 RAILZ Next-Gen Pro-66 skis and Free RAILZ logo sticker. Buy 2 RAILZ Stainless Steel Rail Kits and Safety Leash to be ski resort ready and for improved performance and Safety! The Railz Pro-66is a converter kit turns your normal skate into a snow one. You just have to replace your board's trucks with the skis from the kit. The ​ Premium Mason Signature is another a​mazing option from Ambition, that will give you one of the closest experiences of skating on the snow. 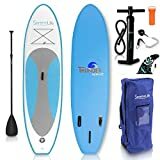 Even with a review of the top products on the market today, if you are not clear on what you want, you will end up purchasing the wrong snowskate. The following is a checklist of things you should be on the lookout. Snowskates are either made of plastic, wood, or steel as in the case with Sled Dogs snowskates. Plastic snowskates are lighter, allowing you to try out different skills and tricks with ease. The only drawback being that plastic is not as durable as the others and has a higher risk of breaking. Ply maple wooden snowskates offer great quality. Unlike plastic, ply maple doesn’t break easily and provides a better grip. But don’t just settle for any wood crafted snowskate, it must be coated with a waterproof sealant for added longevity. Sled dogs snowskates are designed as boots with the base made of steel, which makes them durable and provides great grip on the ground. Expensive doesn’t always mean the best quality. There are affordable brands with all the necessary features, whereas there are expensive brands that lack basic features. 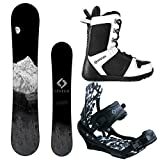 To ensure that you get yourself the best snowskate read through the features. As much as price is a limiting factor, you should never sacrifice features for affordability. Durability in snowskates depends on the material and how you use it. If you are an aggressive rider then chances are that you will have to replace your snowskate rather often. The best snowskates are coated with an anti-scratch sealant. 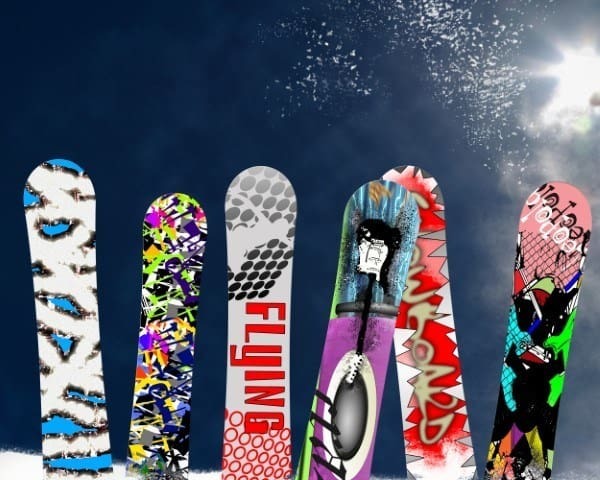 Different snowskates vary in size, shape, and design. Snowskates with asymmetrical noses are suitable to use in all types of snow and you can worry less about getting stuck in it. The visual graphics don’t really affect how you skate, but why not choose what pleases your heart? Some snowskates have a grip tape as part of accessories. Here is the deal; if you want a smooth snowskating experience you need a grip tape. A grip tape is a gritty or sandpaper-like layer attached on the deck of the snowskate to provide better grip on your shoes. 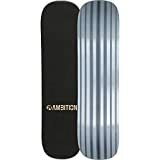 It is recommended that all snowskate boards must have a grip tape. 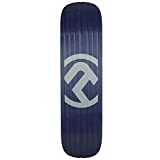 If the brand you purchase doesn’t have a grip tape, it is recommended that you purchase one and attach it on the deck. Always have in mind that a better grip gives you stability and control when riding downslope. As with a normal skate, the longevity of a snowskate depends on how you use it. Although a normal skater may use the same board for years, a heavier or more experienced and aggressive skater may break a board quite often, sometimes even one every year, especially if it’s made from plastic. In order to ensure that your skate lasts long, opt for a wooden board or the sled dog skates, and don’t neglect maintenance at the first signs of damage. The type of shoes that will give you the best experience when using your snowskate is the same that you would use on a typical skateboard. Just add a good pair of warm winter socks and you’re good to go. Although some ski resorts may allow you to snowskate, most won’t, as your snowskate doesn’t have bindings or metal edges (the exception being the Sled Dog skates). Confirm first with the resort if you can use your snowskate board on their slopes, or simply hit a local skatepark or some hills – if there’s snow, there’s opportunity for a great time. In our opinion, the best snowskate board is the ​​ Slopedeck Pro Model. This skate is durable, affordable, good for both beginner and experienced skaters and works well in every snow condition. If you’re looking for something different than a board, that feels more natural, we recommend the ​​ Hygen from Sled Dogs Snowskates. However, you should be willing to part with a few extra dollars given its high price tag.